Cerro Gordo is a privately owned Mining Town located in the Owens Valley near Lone Pine, California. The town was the silver thread to Los Angeles, being partially responsible for its growth and economic development. It features original buildings and artifacts relevant to the town and is open for guided tours, photography groups, mineral and rock groups, schools and historical groups. Cerro Gordo is located on the western slope of the Inyo Mountains about seven miles east of Keeler and thirty miles south of Independence. 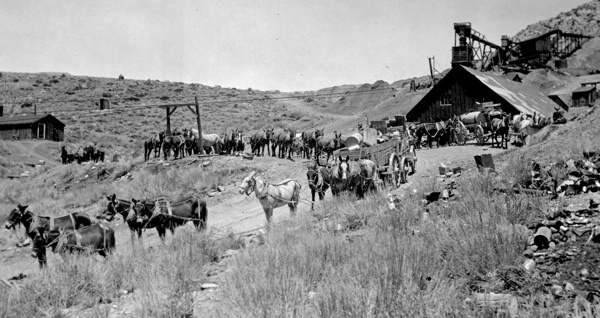 It was the first major silver strike in Owens Valley. Long before the area was developed, Mexicans had been crawling the mountain they called Cerro Gordo, meaning “Fat Hill,” looking for silver. However, an early group was attacked by Indians and three of the five prospectors were killed. Two were held captive and when they were released, were required to promise never to return. However, after Fort Independence was established and the Indian activity subsided, the Mexicans came back in 1862. The original discovery of rich veins of silver was made by a man named Pablo Flores who began mining and smelting operations near the summit of Buena Vista Peak in 1865. In April, 1866, the mine was included in the Lone Pine Mining District organized in April, 1866. 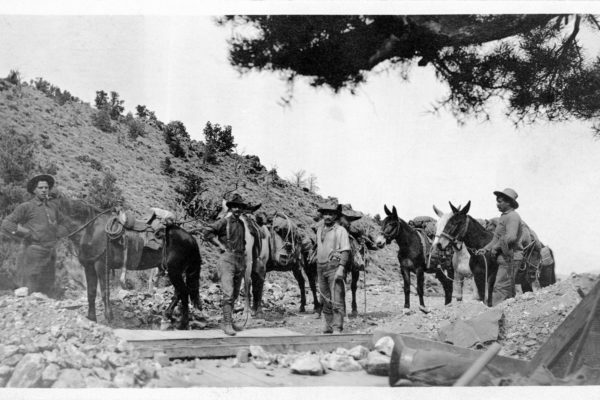 By 1867, tales of the silver at Cerro Gordo had spread, bringing in flocks of new prospectors. Businessman, Victor Beaudry of nearby Independence, California, was so impressed by the quality of silver being taken out of Cerro Gordo, he opened a store near the mine and soon acquired several mining claims to settle unpaid debts. He then built two modern smelters and continued acquiring mining rights from debtors until he soon owned a majority of the richest and most productive mines in the area, which eventually included a partial interest in the Union Mine. In 1868 another businessman named Mortimer Belshaw arrived in Cerro Gordo and after establishing a partnership with another stakeholder in the Union Mine, he brought the first wagon load of silver from Cerro Gordo to Los Angeles. Later, he would build a superior smelter as well as the first wagon road up the mountain. Known as the Yellow Grade Road, Belshaw charged tolls for its use and was able to control the shipments of silver from the mountain. By 1869, Americans had taken over the property and ultimately turned it into the largest producer of silver and lead in California, yielding ores that assayed at least as high as $300 per ton. In the early 1870’s, two smelters were erected at Cerro Gordo and one on Owens Lake near the rival town of Swansea. Contributing to Cerro Gordo’s commercial success was the fact that the area was excellent for smelting works — water and wood were abundant, good fire-clay was available, and because of the wide variety of ores in the district, necessary fluxes were obtainable. In 1875, Cerro Gordo suffered a series of setbacks, forcing the shutdown of its furnaces. These problems resulted from a scarcity of ore in the mine, which had lasted for several months, and the temporary drying up of its water supply. Making matters worse in the slowdown of production was litigation that was initiated in 1870 over ownership of the Union mine. This matter was finally settled in January, 1876 when the Union Consolidated Mining Company of Cerro Gordo was created and preparations made to return to full-scale production. However, the revival was not destined to last, as by late 1876 and early 1877 the Union Mine appeared to be played out. A fire that raged through some of the mine buildings and the Union shaft was the final straw and the furnaces were closed the following February. A more lethal blow was dealt by falling lead and silver prices, effectively ending this era of activity at Cerro Gordo. But, it was not the end for Cerro Gordo. 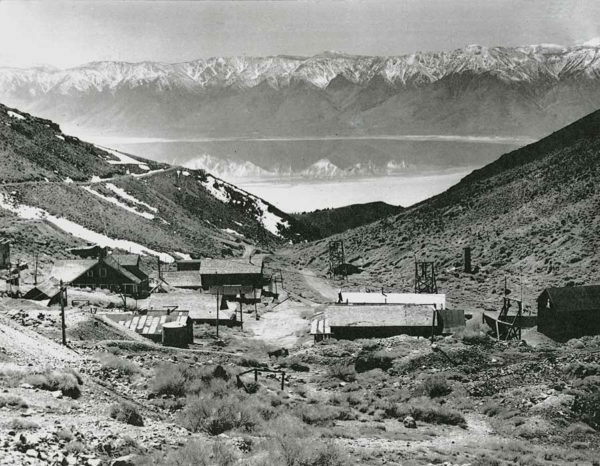 In 1905, mining activity was revived in the Panamint region, and hope was seen for many of the old productive mines. Cerro Gordo was purchased by the Great Western Ore Purchasing and Reduction Company, which envisioned building a 100-ton smelter for custom work and also to process ore left on the Cerro Gordo dumps, earlier considered too low grade for the technological methods then in use. By modern methods the ore could be worked profitably. 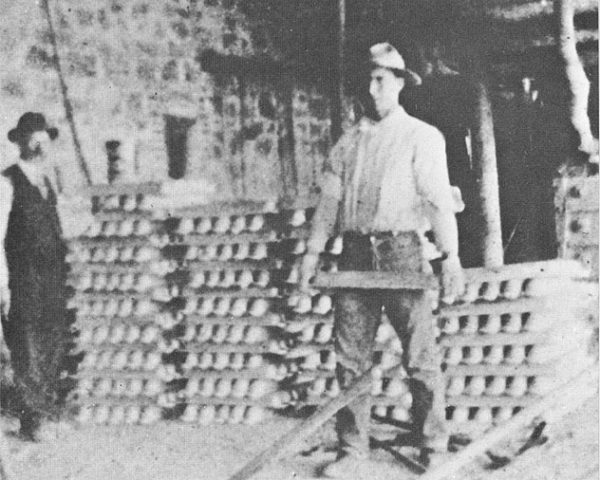 By 1907 high-grade zinc was found in the old Cerro Gordo stopes, and ore shipments were begun. In 1912, the Cerro Gordo group, whose property now consisted of tunnels and shafts and an aerial tramway connecting the mine with the narrow-gauge Southern Pacific Railroad at Keeler, was acquired by Utah mining men. Shipping 1,000 tons of ore daily, Cerro Gordo became the largest producer of zinc carbonates in the entire United States. 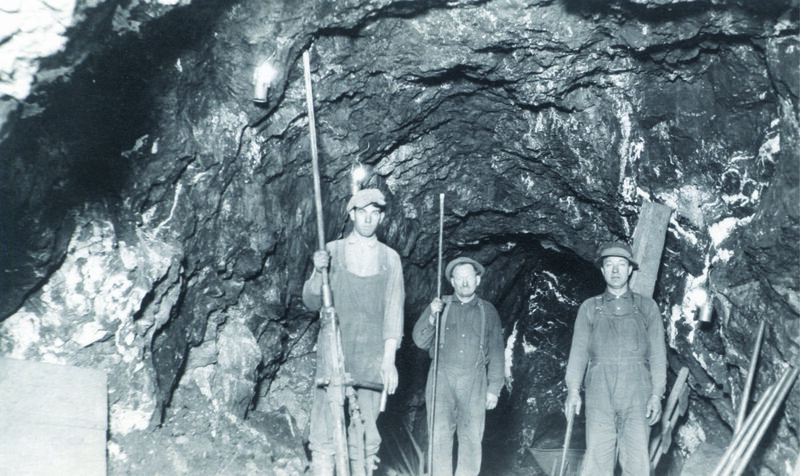 By 1920, about ten men were still employed by the Cerro Gordo mines company and silver-lead ore was being shipped. 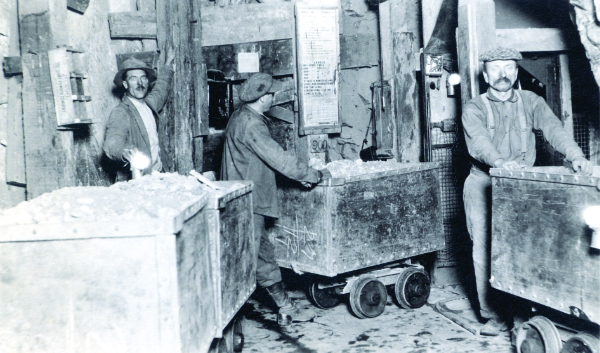 A few years later, in 1924, silver-lead ore on the old dumps was still being worked. 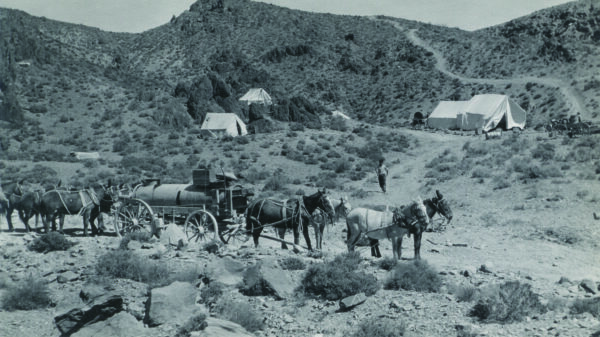 Gross production of the Cerro Gordo camp from its early profitable years up until 1938 was about $17 million. 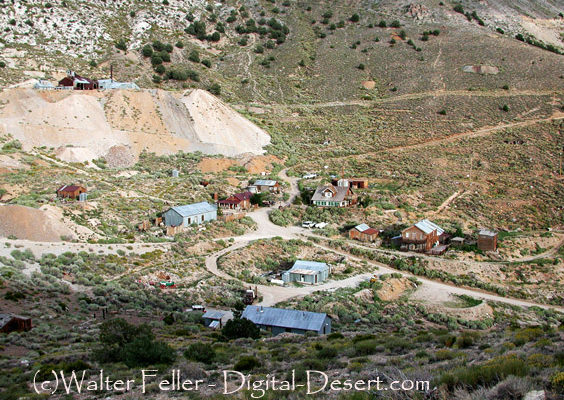 Today, Cerro Gordo is considered one of the best “authentic mining towns” in California. Financial support is provided by the Cerro Gordo Historical Foundation, private organizations and supporters who have a like interest in keeping this historical landmark preserved and open to the public. A walking tour of Cerro Gordo highlights our rich mining history and lets you step back in time. See and learn about some of our most noteworthy sights and structures and hear brief histories designed to give you a sense of what it was like to live in Cerro Gordo during its heyday. Tours are available by reservation and can be guided or self-guided. You’ll see and visit the many buildings still standing in Cerro Gordo. Visit our General Store and see historical artifacts and mining tools recovered from the site. There is also an Assay Office, Hoist House (1877) and more. All proceeds from guided tours go to the Cerro Gordo Historical Foundation. Please note that there is no overnight camping allowed. Your access to Cerro Gordo Mines, Cerro Gordo Ghost Town site and surrounding areas, whether participating in an organized or unorganized event or just exploring, whether authorized or unauthorized, constitutes your agreement to all of the terms and conditions of our Waiver of Liability and Hold Harmless Agreement. All visitors must sign an Agreement. The buildings, surroundings and vistas are spectacular, so the town is perfect for photography clubs and workshops. Mount Whitney and the Sierras are across the valley, looking over Lake Owens, and provide breath-taking views. Cerro Gordo Road is just short of 8 miles long and fairly steep in places. It is not for vehicles with low ground clearance. All visitors must check in with our caretaker, sign a liability waiver and pay for admission before exploring the town. Bring your own food and water. Depending on the time of year, we suggest bringing a jacket and warm clothing. Hiking shoes are recommended if you decide to explore some of the local terrain. We also advise to bring trash bags as there are no services or supplies available. 8500’, so many people can suffer slight altitude sickness. What is the road like coming from Keeler? Cerro Gordo Road is a county maintained gravel/dirt road, just short of 8 miles long and fairly steep in places. We are not responsible for ruts, holes, rocks or the overall condition of the road. You gain a mile in elevation from bottom to top, so it’s steep. We recommend a 4WD as the safest way, but non 4WD vehicles can make the trip as well. It’s also very steep and narrow at some parts, so if you are afraid of heights, we suggest either not coming or not looking down. It can be mild in the summer, but very cold and snowy in the winter. We always suggesting checking the weather before making your trip as it changes quickly. There are outhouses for guest convenience. There is no public wifi and cellphone coverage is very spotty. Can I stay overnight or camp? There is no camping or overnight stays allowed. Yes, but please keep them on a leash for their safety, as well as the safety of other guests and their pets. They are not allowed in any Town buildings. There may be insects, wild animals or snakes, so please do not allow your pet near wild animals or their dens or burrows. Do not leave pets unattended or in vehicles; heat kills quickly, and pets are especially vulnerable to predators if left alone. Please clean up after your pet. Can I dig rocks or hunt for artifacts? What if I find something valuable? We ask that any valuable artifacts found are left for the Cerro Gordo Museum so others may enjoy the history. Underground touring is not permitted and there is no historical artifact collecting. No camping or overnight stays allowed. Dates and hours of operations: Monday through Sunday during daylight hours. 9am-4pm standard time, 9am-5pm daylight savings time. Season: All year, depending on weather and road conditions. Admission is payable by check or cash with our Caretaker the day you arrive. You will be required to sign a Liability Waiver before you explore the town. Make checks payable to Cerro Gordo Historical Foundation. For further information about rates, group discounts or private events, please call us at 760.689.2443. All proceeds go towards the preservation and maintenance of Cerro Gordo through the Cerro Gordo Historical Foundation. The Cerro Gordo Historical Foundation was founded to preserve and improve the townsite of Cerro Gordo. Our goal is to continually upgrade amenities and keep the town intact to be enjoyed and explored as a true historical site in California. If you’d like to donate to our cause you may make a contribution to the Cerro Gordo Historical Foundation, a 501(c)3. The Cerro Gordo Historical Foundation and Miner’s Club contributions are used for maintenance and improvements. Cerro Gordo in the news. Keep up to date with Cerro Gordo news and information.